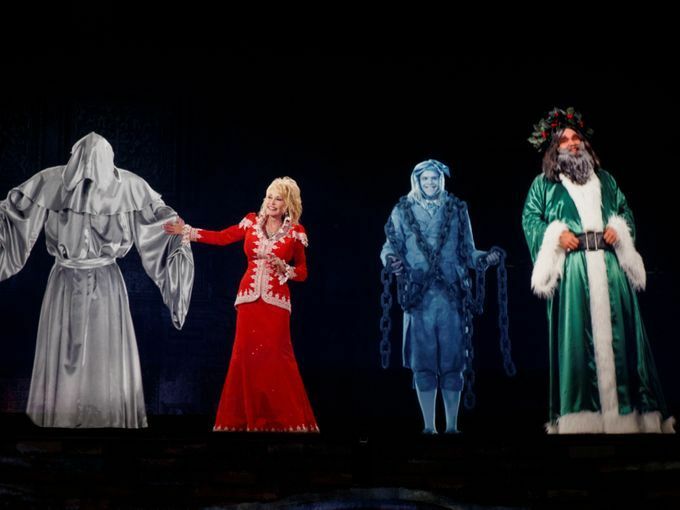 It’s beginning to look a lot like Christmas…especially at your next-door neighbor’s neon nativity scene, which is totally pulling focus from your classy white twinkle lights. 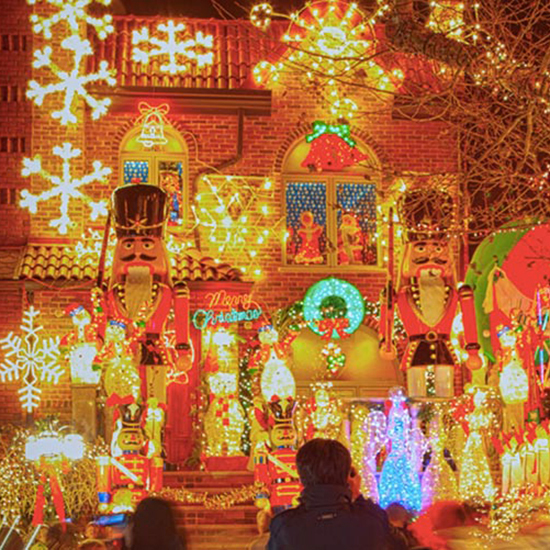 But these 11 towns in America are taking Christmas to a whole new level — and from understated to high-voltage, there’s something for absolutely everyone. Even your not-so-subtle neighbor. 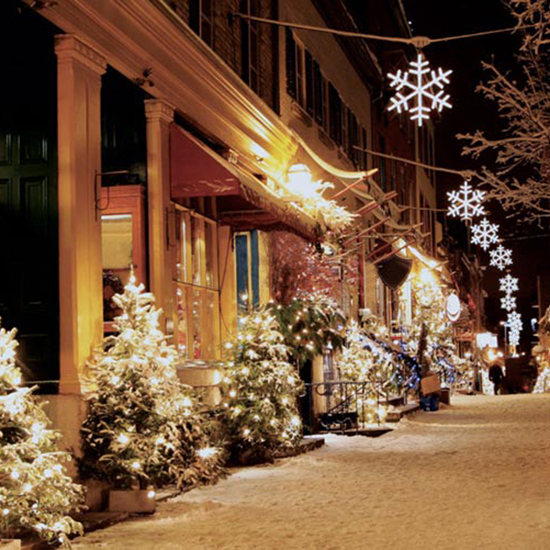 Every year, Bethlehem transforms into Christmas City U.S.A., with historic walking tours, sparkling decorations and Christkindlmarkt — an open-air holiday marketplace where everyone who's anyone will be buying handmade jewelry, pottery and blown-glass ornaments for the tree. 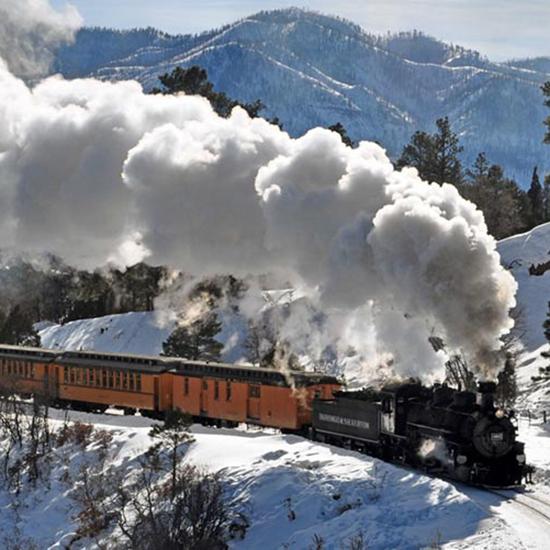 A town where kids can hop aboard the Polar Express in their PJs and take a 30-minute ride to the “North Pole"? Rest of America, your move. Do you hear what I hear? 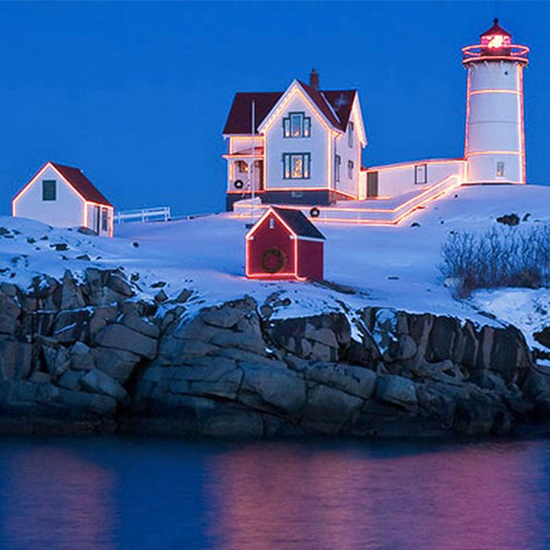 Oh, it's just the Ogunquit traveling singing minstrel, which wanders this quiet beach town all December. 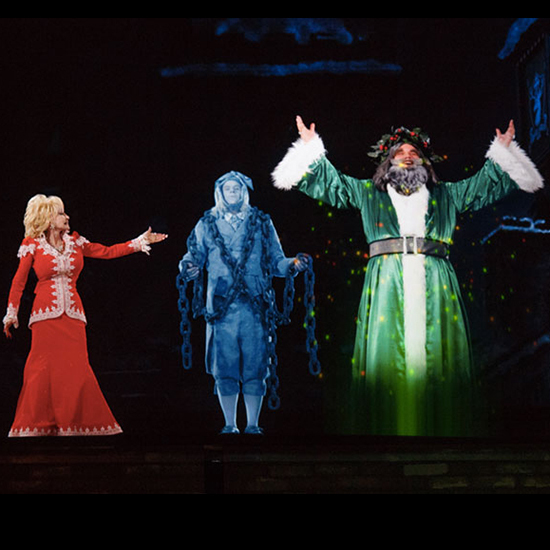 Kick it up a notch at Dollywood’s Smoky Mountain Christmas Festival, featuring four million holiday lights and a performance of A Christmas Carol, starring a hologram (yes) of Dolly Parton as the Ghost of Christmas Past. 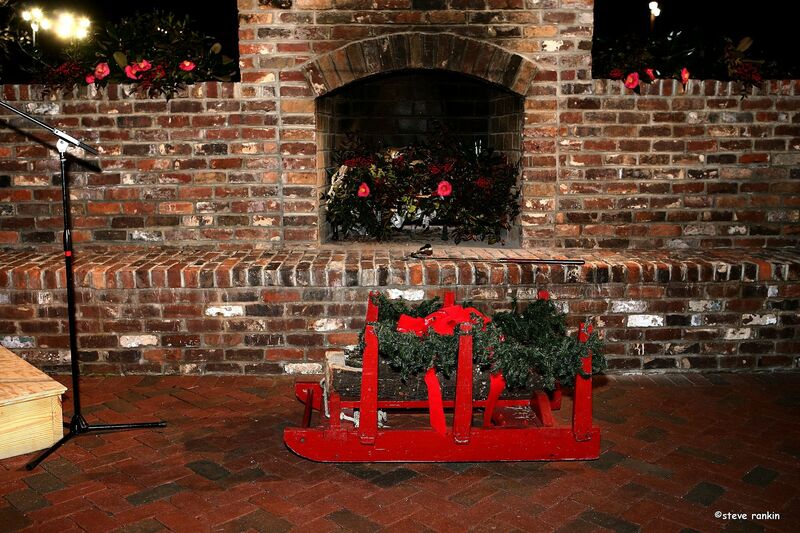 Get a mega-watt dose of Christmas cheer at Busch Gardens, then venture to colonial Williamsburg for the total opposite: an old-timey holiday auction and a fifes-and-drums march. Can't swing a trip to Denmark this Christmas? Yeah, us either. 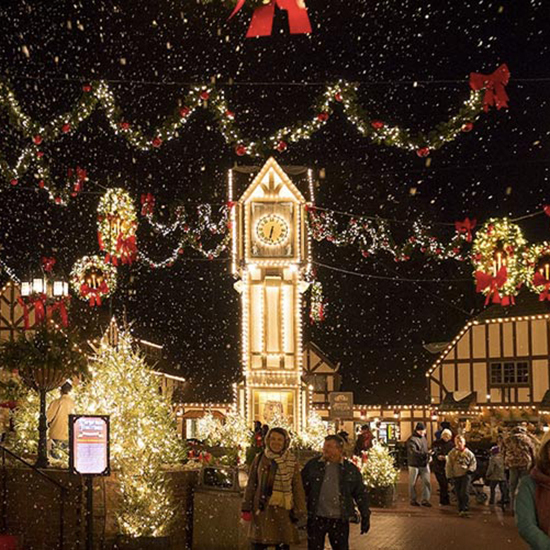 Pay a visit to Solvang instead--the whole town gets decked out for a traditional Danish Julefest (pronounced Yule-fest, ja? 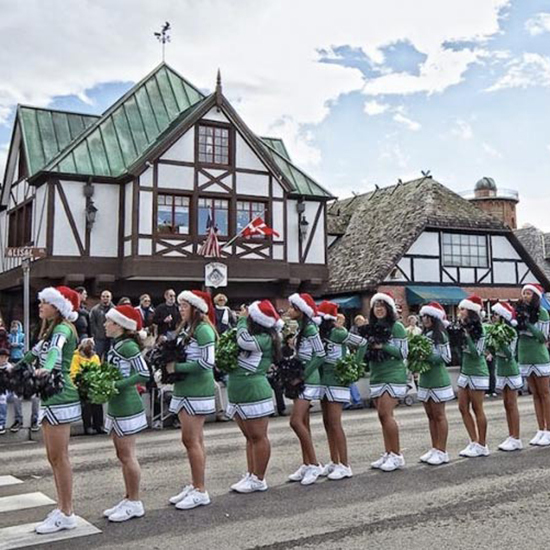 ), an annual holiday celebration that includes a parade and ballerinas dancing around a massive fir tree. 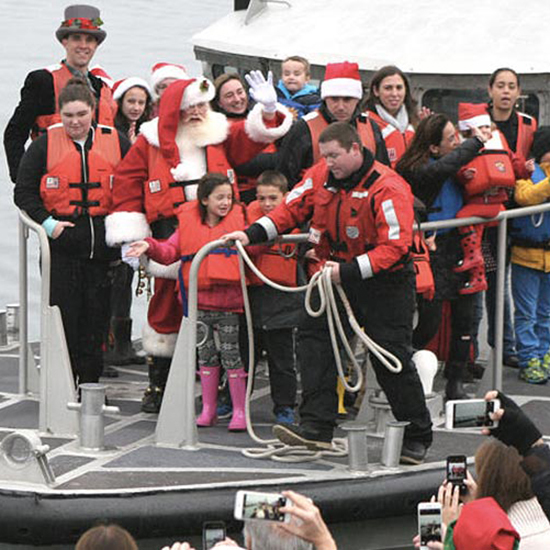 For the 42nd year in a row, Santa will arrive in Nantucket on a Coast Guard vessel, then parade through town with a crowd of seriously excited kids, dressed in seriously preppy clothes. The town pant is Nantucket red, after all. The whole town gets decked out in lights. And to kick off the annual Christmas festival, a gang of kids pulls a festive Yule log on a sled through the streets to fuel a giant fireplace. That's commitment to Christmas. 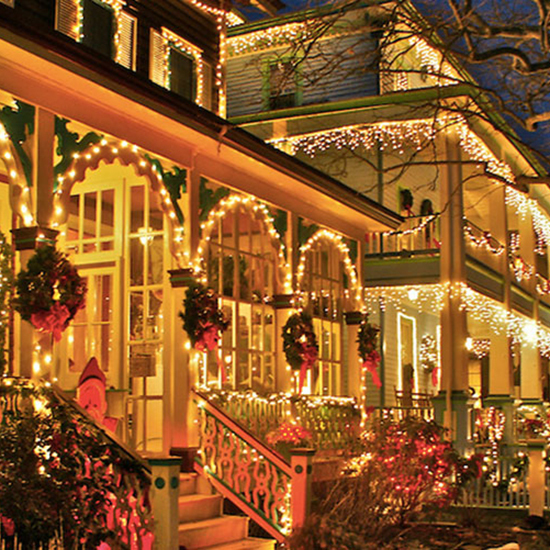 After seeing Cape May’s gorgeous Victorian B&Bs all dressed up for Christmas, check out “An Old Fashioned Christmas Exhibit” at the Carriage House Gallery, complete with antique model trains and a Dickens village. 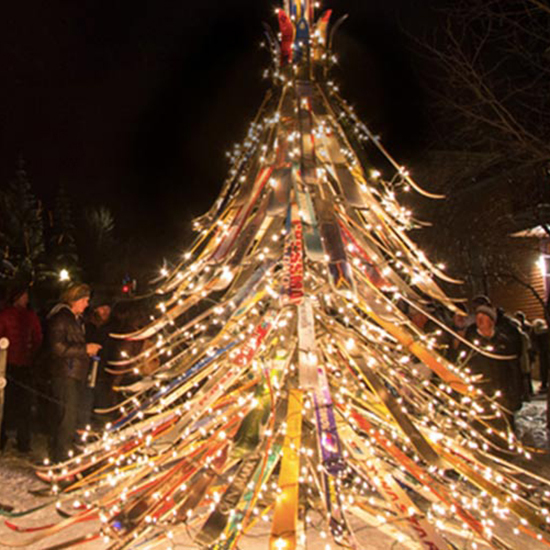 Naturally, the residents of this ski town ditch the evergreen in favor of a tree made entirely out of skis. 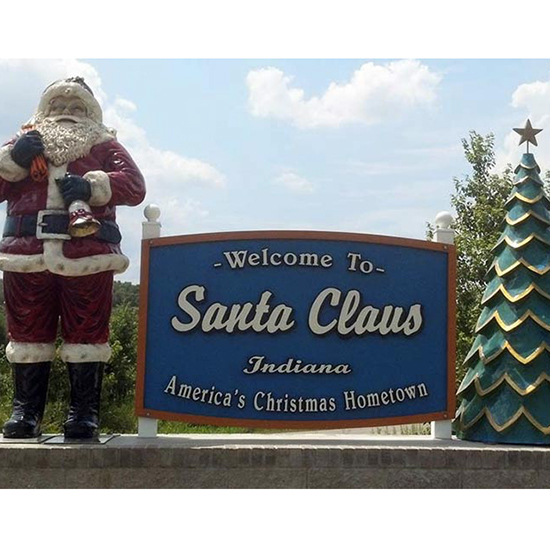 Try as you might, you just can’t top a town that’s named after Saint Nick, himself. The post office receives thousands of letters addressed to Santa each year, and a team of volunteer elves makes sure to respond to every single message.